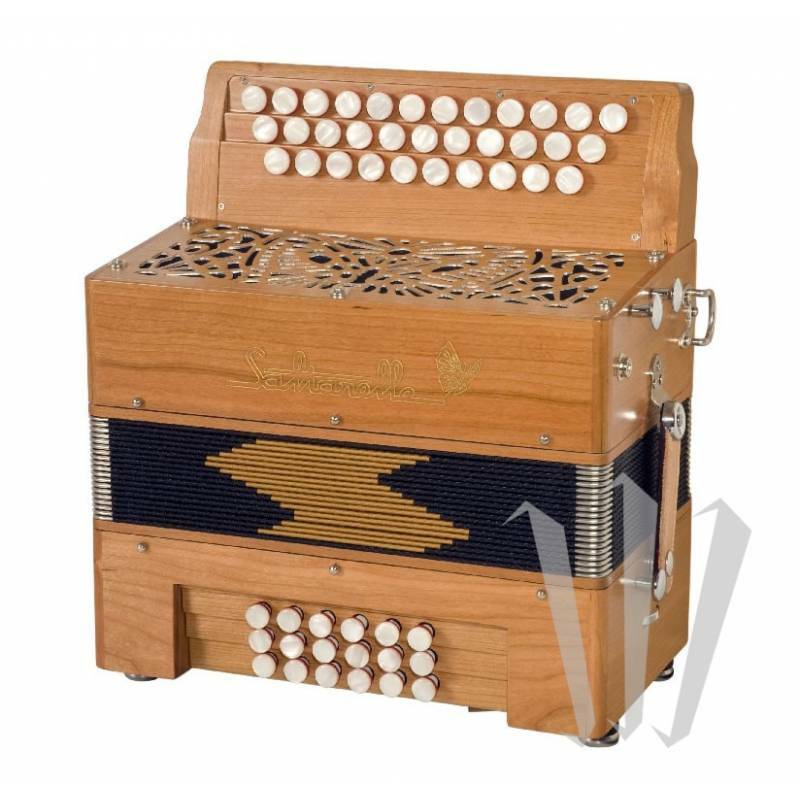 This model is yet another top-of-the-range 2 ½-row diatonic button accordion from Saltarelle, fitted with automatic couplers on the right hand. Its advanced 3-row left-hand manual gives the player access to a free-bass layout, using each of its 18 bass buttons. 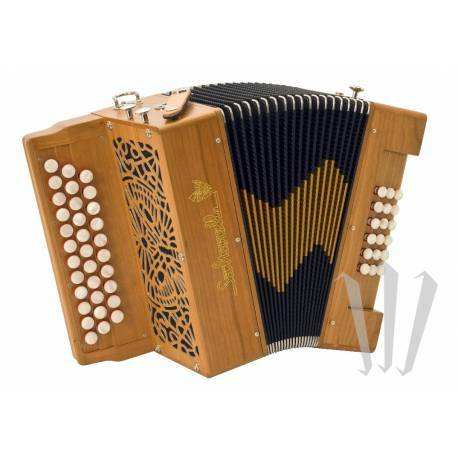 As a result, this diatonic button accordion provides the same features as those generally offered by its chromatic counterparts. The Calimaque is an accordion that boasts rare left-hand features, fitted with 1 stop to remove either the fundamental or the fifth (this must be specified by the customer when ordering). Removing the fifth makes it possible to play free-bass across a range of two octaves on the left hand! 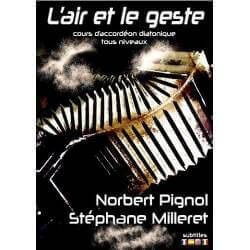 Video: "Le bal de la marine"